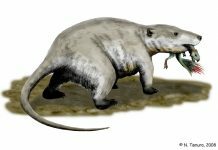 Purgatorius was a prehistoric mammal which lived approximately 65 million years ago during the Late Cretaceous Period. It was first discovered during the 1960s in the Tullock Formation in Montana. 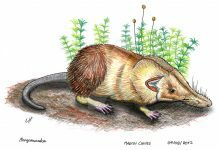 In 1965, this small animal would be given the name Purgatorius – after Purgatory Hill in Montana. If you were to judge this animal merely on the various Purgatorius pictures that can be found, then you probably wouldn’t think too much about it. You would think it was just some kind of rodent that lived a long, long time ago. However, if you dismissed this animal in this way, then you’d be missing out on one of the most important facts about Purgatorius. The fact that it may be the distant relative of primates – including us. 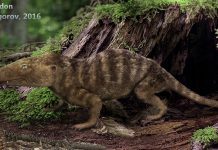 Yes, some paleontologists believe that this animal – which was about 6 inches long and weighed only a few ounces – would evolve into rhesus monkey, chimps and hominids. They believe that because it had primate-like teeth and lived in the trees of what is now North America to protect itself from some of the dinosaurs which were capable of killing it – namely, T-Rex’s and raptors. However, not all paleontologists are so sure that Purgatorius was directly ancestral to chimpanzees and human beings. 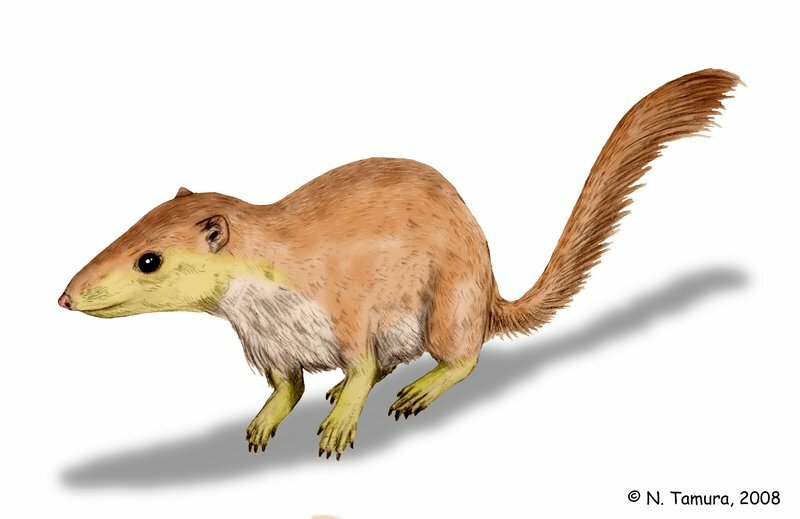 Some believe that it is merely an early example of a member of the Plesiadapidae family – like Plesiadapis, an early lemur-like primate that lived in Eurasia and North America. In either case, however, Purgatorius likely survived the extinction of the dinosaurs because of its unique ability to live in trees. While many of the larger dinosaurs became extinct, Purgatorius was likely able to survive by eating seeds and nuts. It would then go on to fill the niche that was once occupied by the large dinosaurs.